Final funeral service has been held on Sunday 9, September 2018 at Kumasi Central Mosque for seven persons who were shot and killed by the police at Poano in the Bekwai municipal of the Ashanti region barely two months ago. 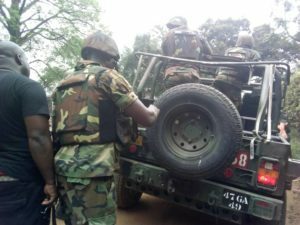 The seven included Musah Seidu (a.k.a Baba Kande), Mohammed Bashiru Musah (a.k.a Soldier), Mohammed Kamal (a.k.a Tanko), Baa Bont (a.k.a Freeboy), Razak Sule (a.k.a French man) and Oliver Konlan a.k.a Rasta. 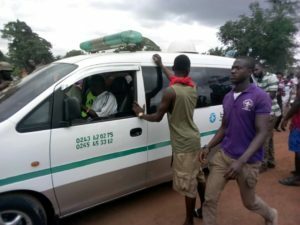 The final funeral service brought together thousands of people from of almost every society across the length and breadth of Ghana. 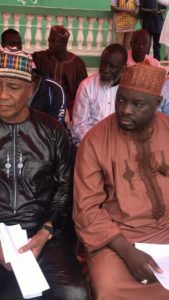 The former minister for Zongo Development, Abubakar Sadik Boniface, Municipal Chief Executive for Asokore Mampong, Alhaji Alidu Seidu, Member of Parliament for Asawasi, Alhaji Mohammed Muntaka Mubarak, Ghana’s former Ambassador to Guinea, Alhaji S M Sheriff were some notable persons who witnessed the funeral service. 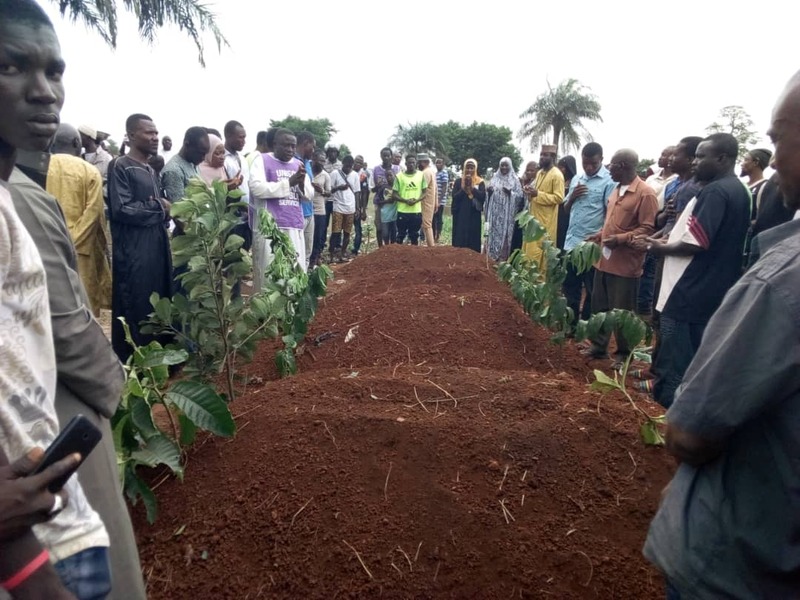 Bereaved families of the two non-Muslim brothers, Razak Sule and Konlan Oliver broke down in tears on Saturday September 8, 2018 when their caskets were taken from Asawasi to the Tafo cemetery where they were finally placed to rest through military directions. 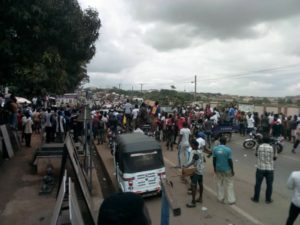 Speaking to OTEC fm’s Isaac Nsiah Foster, the father of Musah Seidu, Alhaji Seidu Ziadoh invoked the wrath of the Almighty Allah to strike against the police officers who shot and killed the 7 Muslim brothers. “God will be punishing them as they did to my son. 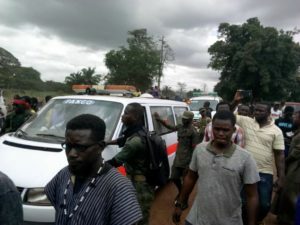 They will die in the same way as my son died” he suddenly confided in otecfmghana.com.